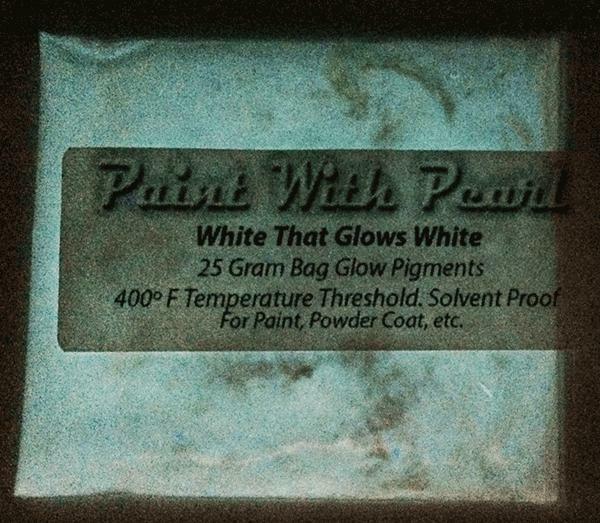 So our latest one is a White to White Glow in the Dark Paint kustom paint Pigment. This one is so cool that after we photographed it, and went to sleep for 7 hours, it was still glowing when we woke up! 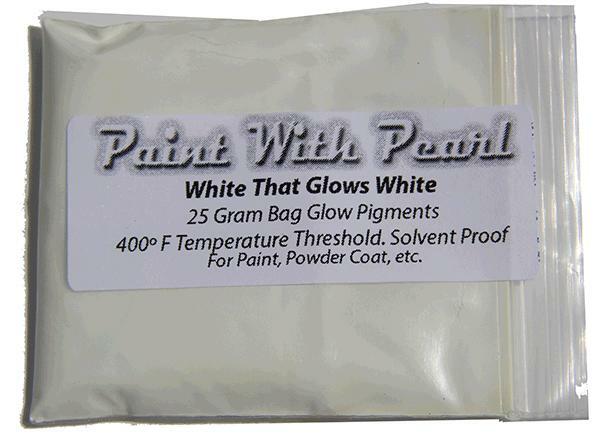 This one truly glows white and is possibly the finest of all the glow pigments. It costs more, because it is worh more. We pay as much for this as our highest priced pigments, I encourage you to make a paint job with this along with photos to use here, because it is so cool. Any great pics and a small testimonial of a good paint job gets a $50 gift certificate.